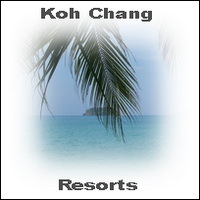 White Sand Beach in the north of Koh Chang Island offer restaurants, hotels, massage shops and nightlife bars. The most popular holiday village on Ko Chang attract every year many tourists who come for beach holidays on a tropical white beach in the Gulf of Thailand. Buffalo Bill, Oodies place and Sabay Bar are locations for dinner and nightlife in White Sand Beach Koh Chang. The widespread hotels white sand beach Koh Chang are popular accommodations and oasis for holidays and honeymoon next to the warm sea water of the Gulf. Direct on the beach of white sands are some beach bars for swimming breaks and relaxing under coconut palms. The most popular activity in White Sand Koh Chang is sunbathing. But Elephant trekking, shopping and spa are also nice thinks which you can book in any travel agency in White Sands in Koh Chang Thailand. Copyright 2010 Thailand-Hotels.at Template provided by Interspire.com - the world's best selling webware.